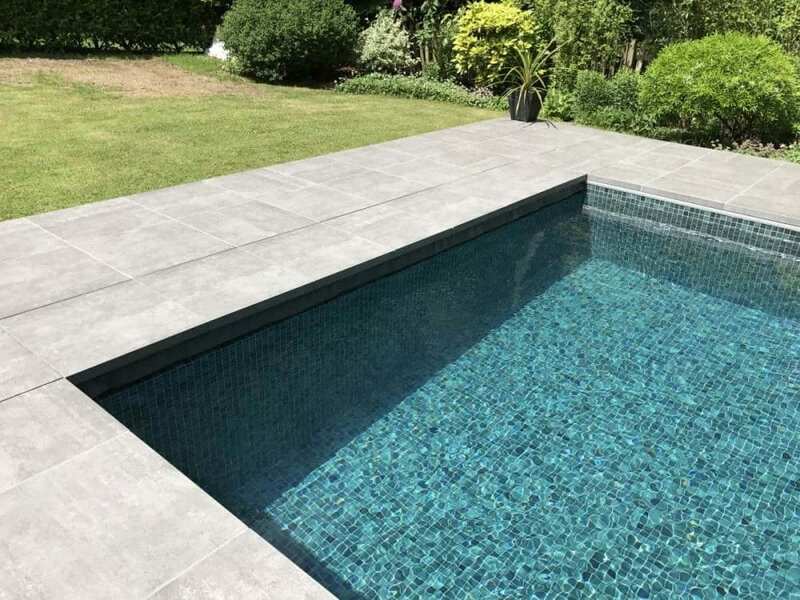 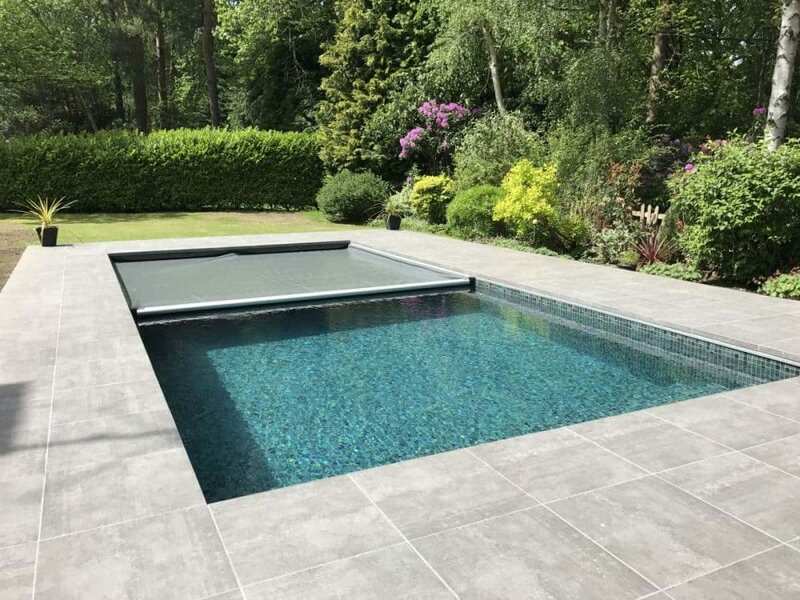 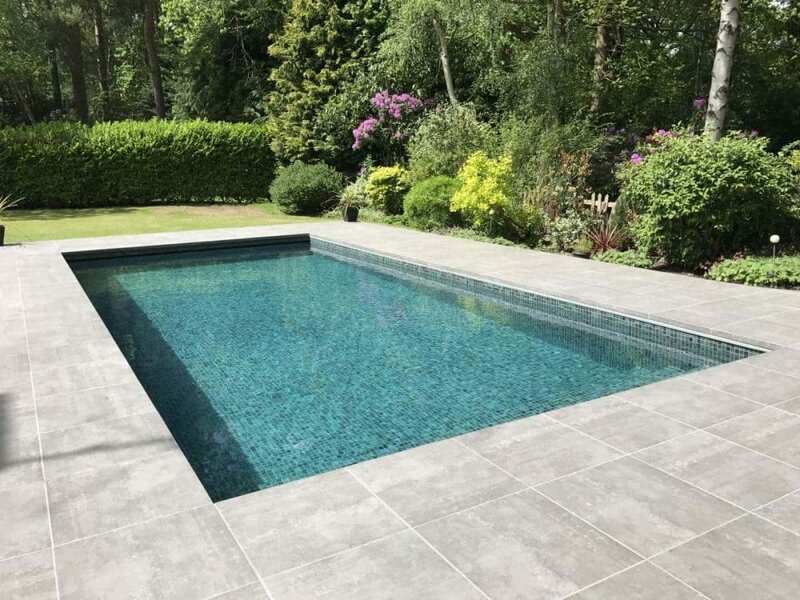 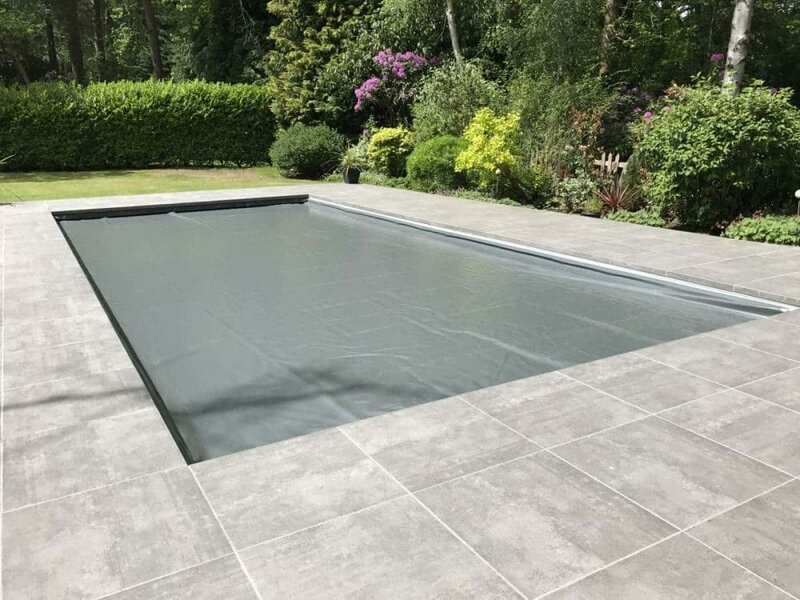 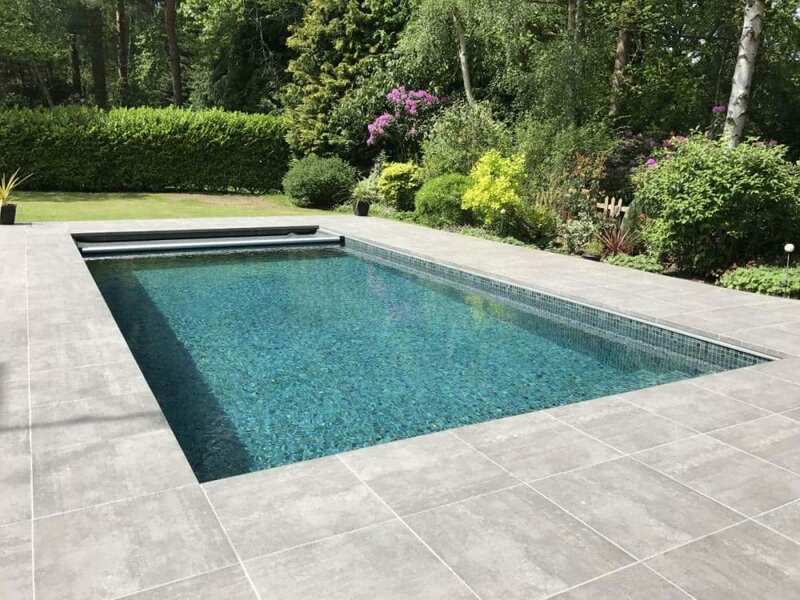 This Luxe Tilestone pool was recently installed in Hampshire, incorporating the Aquamatic “hidden leading edge system” with our Aquamatic safety cover. 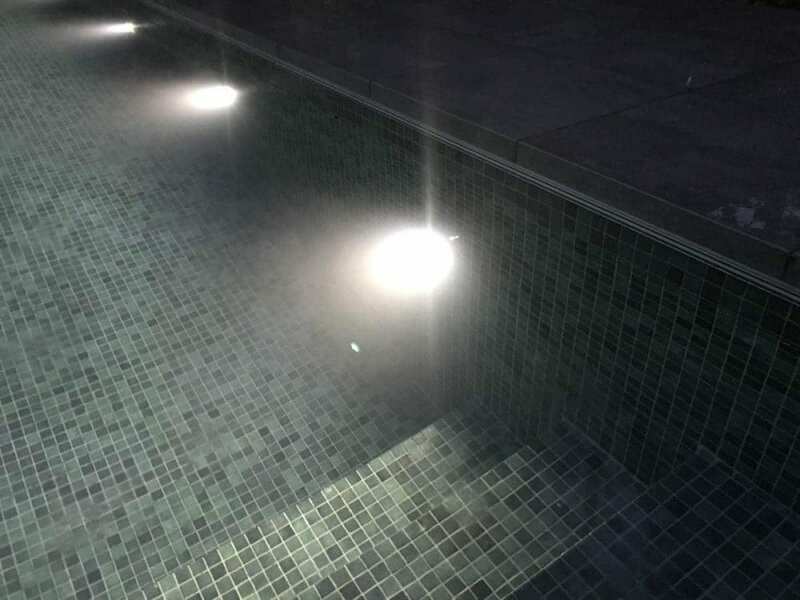 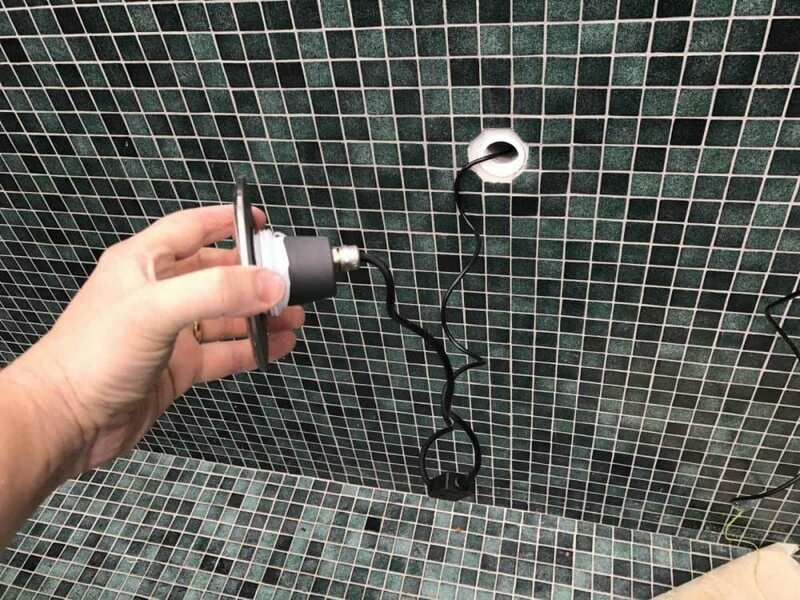 Water-tec LED stainless steel WT2 lights were incorporated into the tiles, and all fittings are stainless steel. 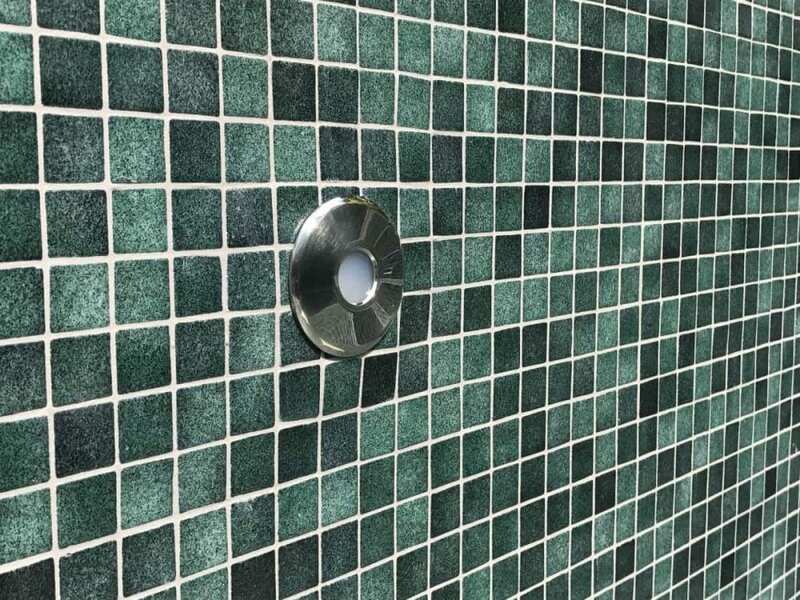 It was necessary to use a 20mm stone for the lid housing, and 50mm for the remaining three walls. 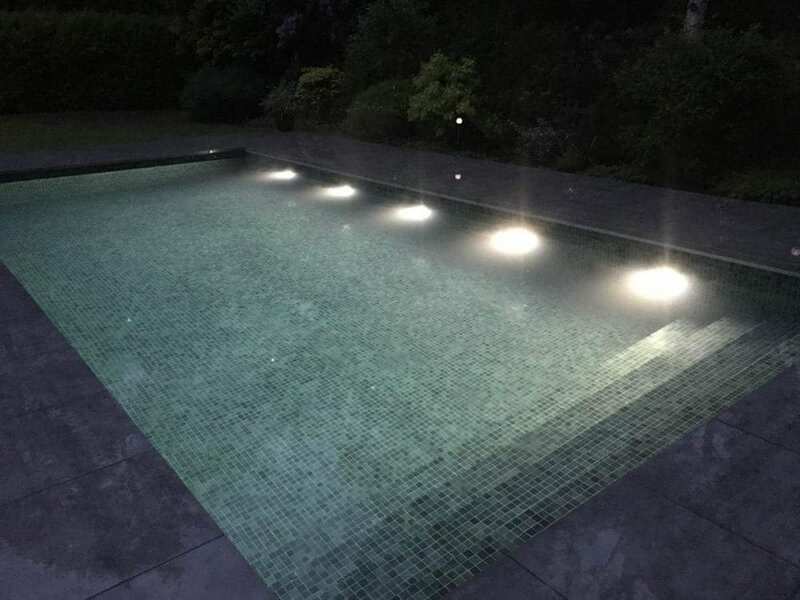 Using 600 x 600mm tiles around the edge of the pool covered the hidden edge entirely. 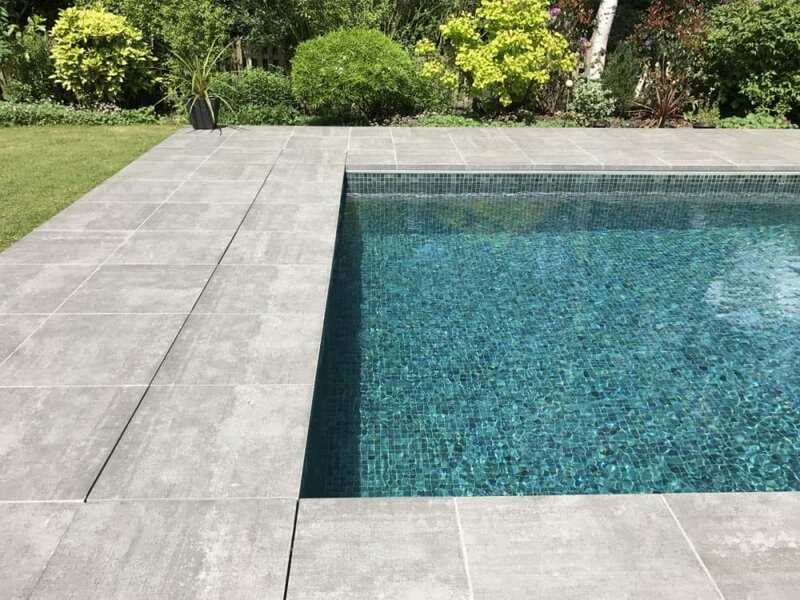 Alternatively, 20mm stone can be used with a 50mm aluminium edging strip.